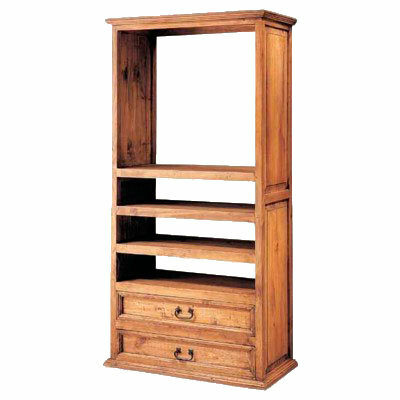 There is room enough for all your TV and accessories in this simple entertainment center. Perfect for smaller Mexico living rooms because it is tall rather than wide. Solid kiln-dried pine wood, two storage drawers with iron drawer pulls, and available in the stain of your choice.